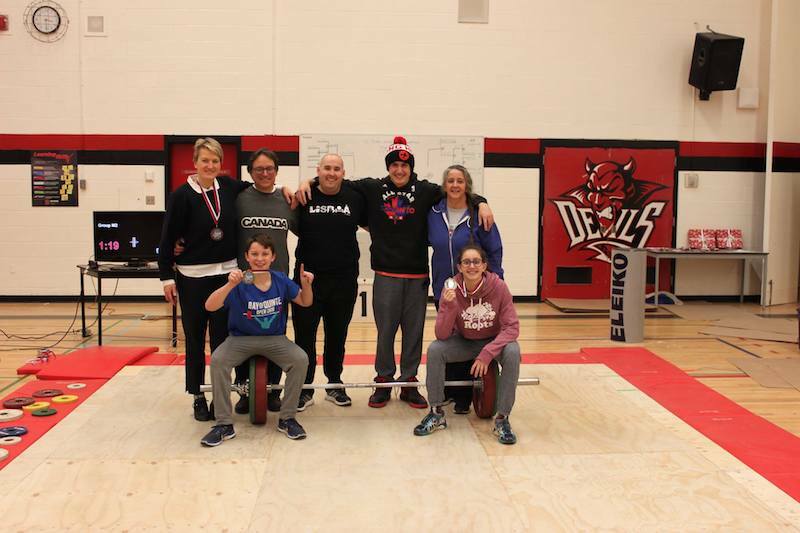 BELLEVILLE – The Apollo Barbell club of weightlifters won gold medals in two classes at the 2017 Bay of Quinte Holiday Open Saturday. Carson Orser and Kayla Martindale both took home gold in their weight class. Elijah Martindale, Meredith Stranges, and Mike Carol also brought home bronze medals. Orser who competed in the 51-kilo weight class lifted a total of 101 kilos and in the women’s 58-kilo division Martindale was able to lift a total of 109 kilos. Meredith Stranges competed in the 75-kilo class and lifted a total of 93 kilos, in the 77-kilo class Elijah Martindale hoisted 166 kilos and Mike Carol competed in the 105 kilos plus division and was able to lift a total of 160 kilos.